From the factory, the 2016+ Nissan Maxima has LED panels in the headlight that illuminate for the parking light and DRL. 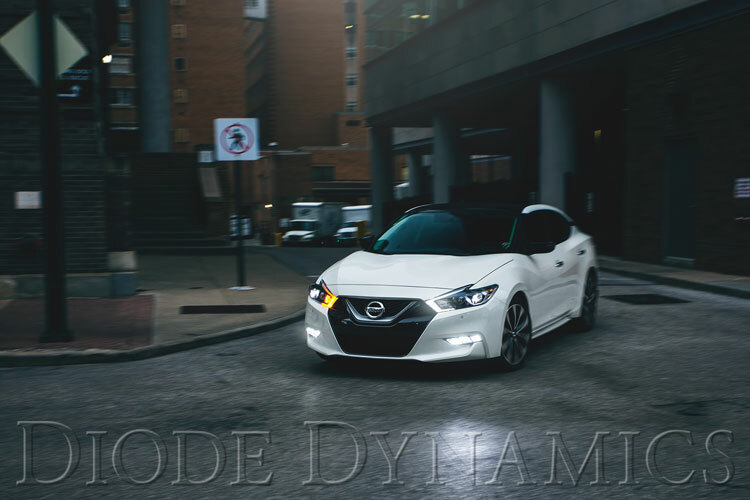 With these Diode Dynamics' OEM-grade replacement LED panels, you can upgrade your Maxima's DRLs by making them function as both the white running light, with all lights illuminated at once, or a bright amber turn signal. These Diode Dynamics' LED panels are a direct replacement for the OEM Maxima units, but have two high-power LED chips instead of one. Each OEM Nissan LED board is replaced by one 3030-size PC amber LED, and another 6500K white one. These LEDs can be powered by parking lights or your choice of 12V source, providing a clean white color while driving, and a brilliant amber turn signal. Your order includes four total panels, to replace the OEM Nissan Maxima panels on both the driver and passenger side, as well as the required drivers. Diode Dynamics products are backed by a 3-year replacement warranty. Are these really on back order for 6-8 weeks? Currently, they are indeed on a prolonged backorder. I'm sorry for the trouble. Last edited by Diode Dynamics; 08-16-2018 at 01:39 PM. 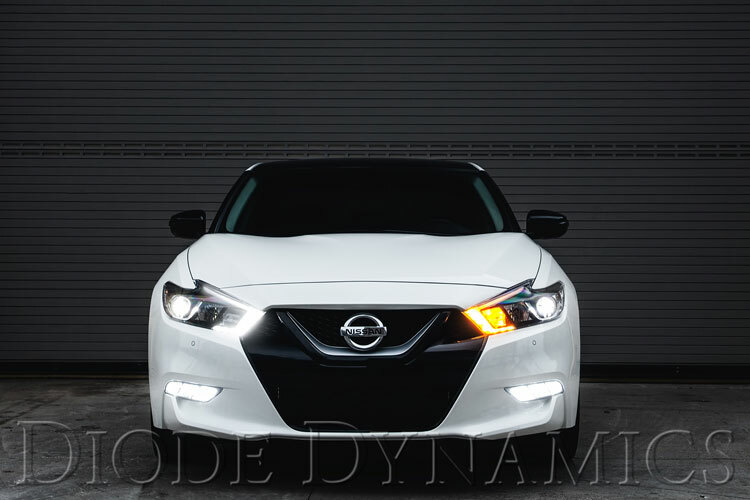 Quick Reply: Diode Dynamics 2016+ Nissan Maxima Switchback DRL LED Boards! Made in USA!